No this isn't the forecast from last week. There's another chance for strong to severe to storms possible overnight with the main threats including hail, lightning and gusty winds. There's also a low-end tornado risk, too. 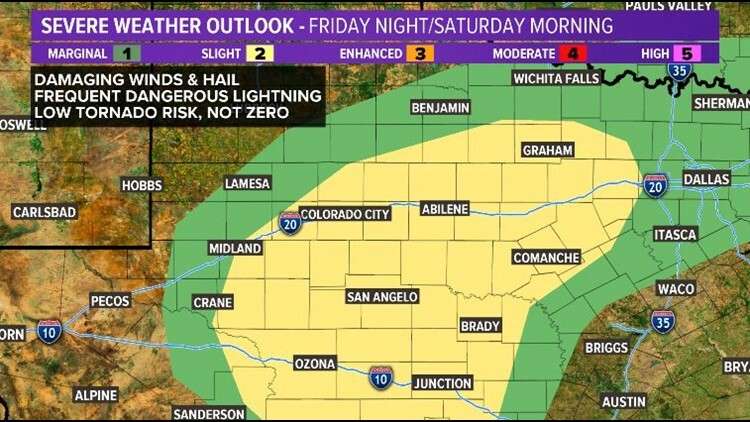 SAN ANGELO, Texas — Storms seem to favor our weekends. We are tracking another chance for showers and storms overnight. Low-pressure will move in increasing our moisture. Couple that with an increasing warm air mass, and will storms fire up fairly quickly. 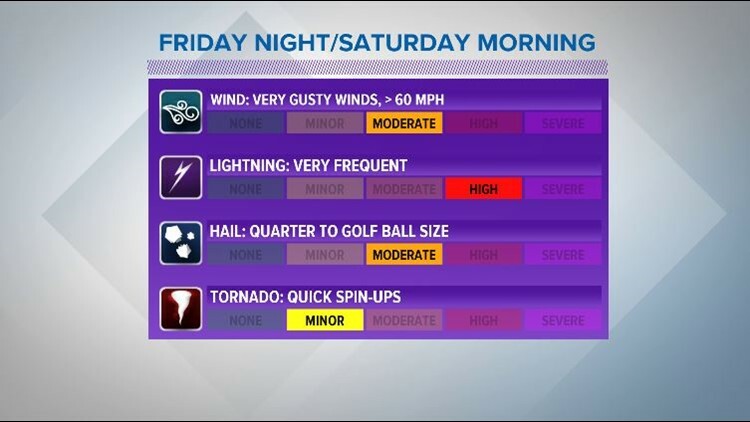 Right now the best coverage for showers and storms will start around 9 p.m. Friday with the strong to severe storms developing after midnight. Hail, gusty winds and lightning are the main concerns, but an isolated tornado or two is also possible. Right now, the strength of the storms will rely heavily on the warm front to our south. If it sets up in the southern Concho Valley and stalls, we are in for a very active weather forecast tonight. This situation is developing and we are watching it very carefully.